RetailMeNot.ca recently reached out to me with a challenge (and a chance for you to win $200), and I’m excited to spill the beans. RetailMeNot.ca wanted to know how much money I could save on purchases made this time of year: home decor, home goods, entertaining, salon visits, travel, etc., by using the RetailMeNot.ca website. I perused the website and looked at some of the discounts and coupon codes; it was easy to browse by retailer or category, and soon I stumbled across a fabulous coupon code for Lord & Taylor. 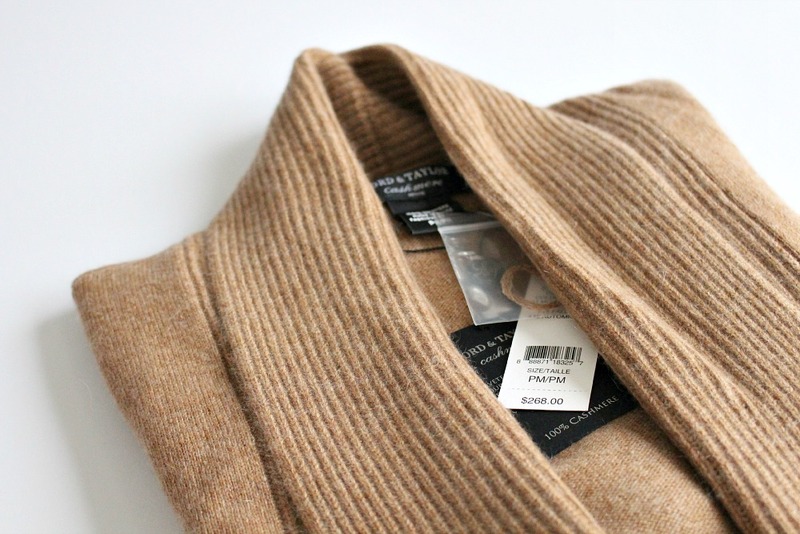 Every winter, I try to treat myself to a cashmere sweater. It’s a weird little tradition of mine. I don’t buy a lot of clothes and by caring for my cashmere at home, I’m able to make these sweaters last a long time so I justify the splurge. Last year I didn’t find one though, so I was really on the hunt this year. I finally found the perfect Lord & Taylor sweater at The Bay, only to discover they were completely sold out of my size. After some sleuthing, I found the sweater, on sale, on the Lord & Taylor website, and using a coupon code from RetailMeNot.ca, I saved an additional $66.28. I guess you can call this my holiday sweater because I’ll be wearing it with skinny jeans and glam jewelry for a party in my neck of the woods (it’s casual here! ), but it’s cozy enough that I’ll pair this with pj’s while I enjoy a little R&R. Since buying a new camera this year, I haven’t had time to find a camera case so I haven’t been able to bring it anywhere. 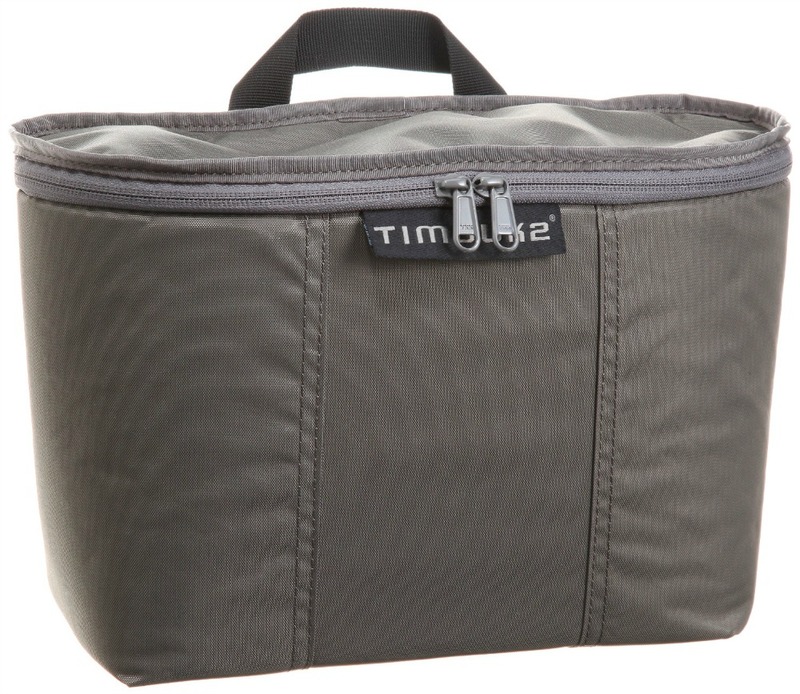 RetailMeNot.ca had a bunch of coupons and sale alerts for Amazon, so I hopped over to take a look and found the perfect camera bag insert (the Timbuk2 Snoop) for a steal! It slips into any bag or purse and was on sale, saving me almost $14.00. It seems a shame to have bought a fancy new camera and not take it for a spin to capture some memories this year. This time of year, we inevitably have more folks coming to our place. Because we live in the country, there are no street lamps and nighttime can be really dark around here – which is dangerous when it gets icy. To help our guests find their way to the door, we’ve installed yard lights, motion lights, and we even have car port lights. Unfortunately, the crazy winds set them off all night long and many of our light bulbs were burned out. 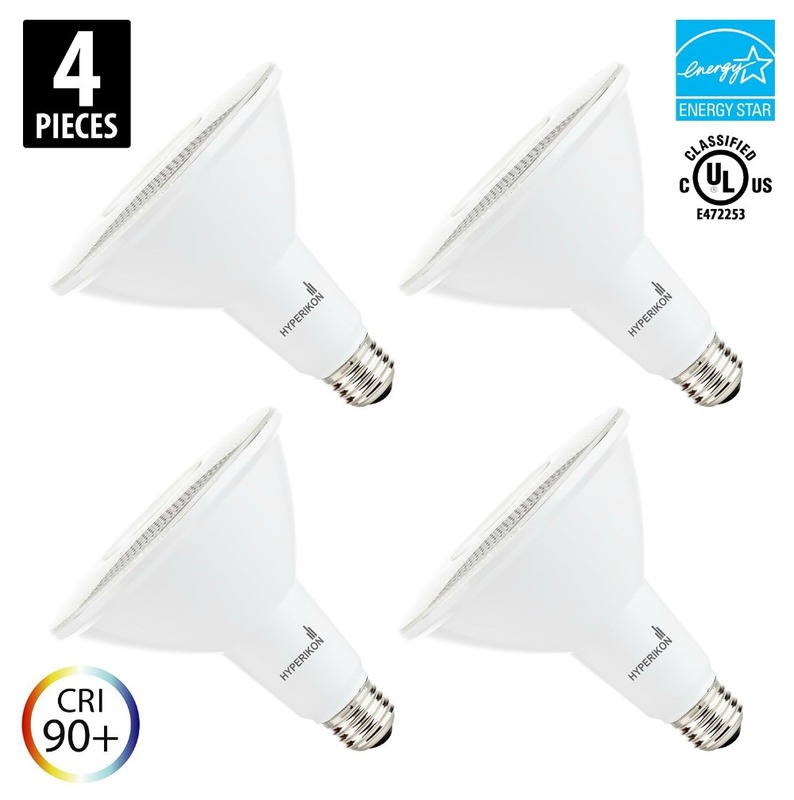 I used some of my budget to buy new LED light bulbs that will last 45,000 hours (!) and keep our property welcoming and inviting during the long winter nights. Not the sexiest purchase, to be sure, but it’s so important this time of year to stay safe! Our bathroom is not yet guest-ready because the new cabinet doors that were installed to replace the flawed ones were also damaged! Plus the counter top folks haven’t scheduled an install date, so we wait. We might be stuck in limbo, but that hasn’t stopped me from buying bathroom accessories. Boxes full of towels, a shower curtain, hampers, soap dishes, etc., arrived at my door, but there was a missing piece. 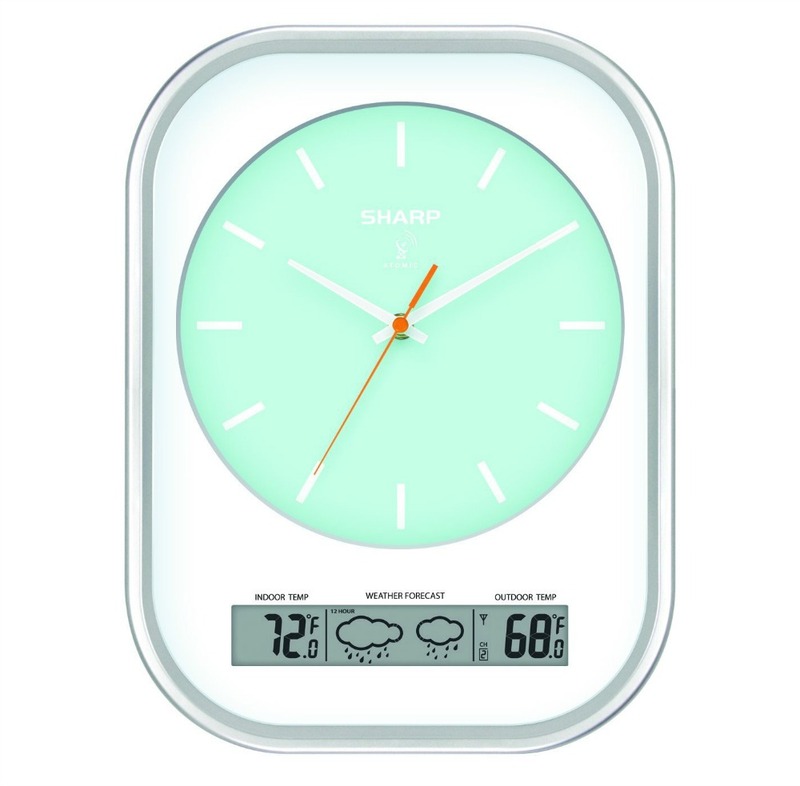 I had been lusting after the Ashton Sutton Sharp SPC1100 Atomic Wall Clock because it’s aqua and shows the weather (!) but I couldn’t justify the $125. I almost bought it so many times but chickened out right before clicking “confirm purchase”. Thanks to RetailMeNot.ca, I caught it on sale and saved a ridiculous $129.92! Savings Thanks to RetailMeNot.ca = $66.28 CAD! I went over my $250 budget, but I got a little carried away because I saved a lot on items that were on my “wish I could buy/really need to buy” list. So for the purposes of this challenge, let’s pretend I didn’t buy the LED lights, which brings my total to $239.03, with a savings of $210 (plus whatever I saved on shipping)! Now my bathroom looks a little more guest-ready, the exterior is a lot safer (and more welcoming), I’m ready for parties (and way more huggable) with my lovely new cashmere sweater, and I can safely take my camera to capture some memories. 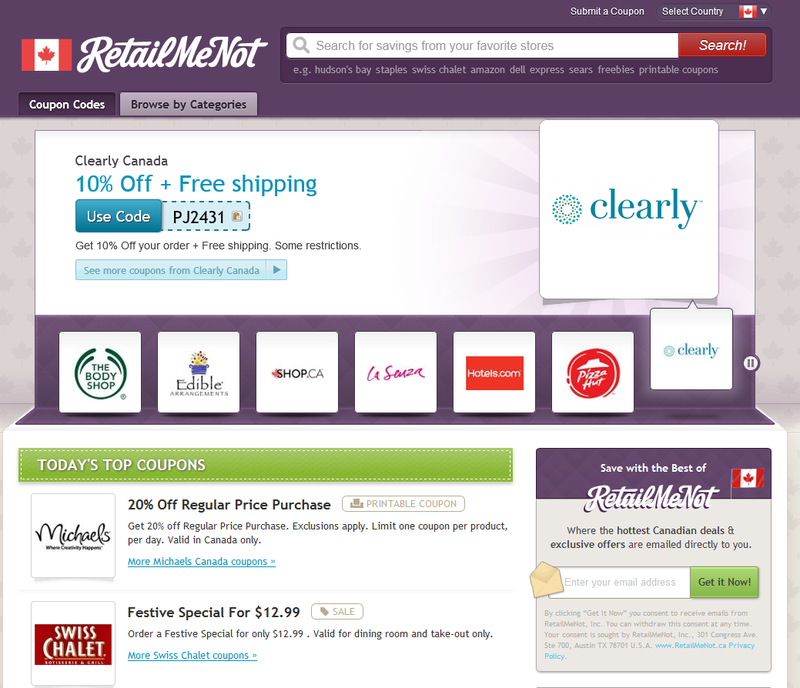 I have to admit that I hadn’t used Retailmenot.ca before to find coupons, but I did hunt for them online. I’d usually Google and inevitably end up with expired ones and waste time trying coupon after coupon. RetailMeNot.ca does the Googling for us and organizes the coupon codes plus in-store and online sale alerts so we can shop by brand or category. My success rate with Retailmenot was good – plus folks can give a coupon code the thumbs up or down, so I could see at a glance the success rate of the coupons. It’s a free service and a great way to save some cash. Now that I’ve bragged about the sweet deals I scored, it would seem cruel to leave you hanging. Instead, I partnered with RetailMeNot.ca to hook one of you up with a $200 prepair VISA card. You’ll be able to use your card anywhere – for anything – online or in-store. There are only two simple steps to enter: sign up for the RetailMeNot.ca newsletter and then enter your name and email address in the form below. I won’t sell your information, nor will it become public. It’s just so I can keep track of entries and reach out to the winner! Unfortunately, this contest is only open to Canadian readers (excluding Quebec). RetailMeNot.ca’s weekly and holiday emails feature only the best deals. By entering your email, you consent to receive emails from RetailMeNot, Inc. You Can Opt Out at Any Time. Your consent is sought by RetailMeNot, Inc., 301 Congress Ave., Ste 700, Austin TX 78701 U.S.A. http://www.retailmenot.ca/static/privacy/. I am participating in the #HolidayCents campaign with RetailMeNot.ca and have received special perks. Any onions expressed in this post are my own. Hi Tanya, the form doesn't seem to be working. It says "You've already completed this entry form. Good luck!" and "You've already submitted all the available entries.Goodluck!" but I haven't entered and it says it is still at 0 entries. I've tried clearing cookies and cache but still the same. Oh no! You're right! I've never used this giveaway widget before and it worked so well on other blogs. I've emailed the site for help. So sorry! I am having the same issue as Brenda. I'm so sorry! I've sent an email to the giveaway tool developers. I'm having the same issue as Brenda. I haven't entered but it says I've already completed the entry form? I'm so sorry! I didn't realize it wasn't working. I'm hoping for an answer from the developer of the tool. I am experiencing the same problem as Brenda with the form. Oh gosh, I feel terrible! I've emailed the giveaway tool developers for help. I'm so sorry!